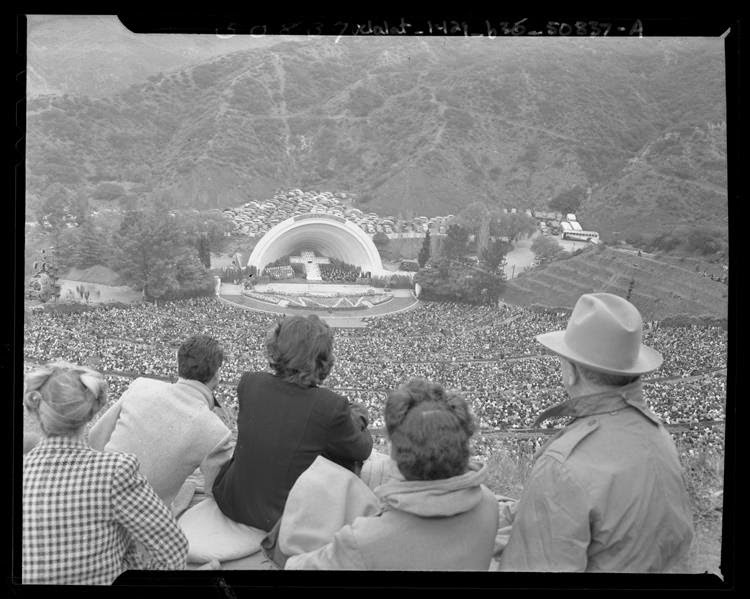 For almost 100 years, Easter at the Hollywood Bowl has been a Los Angeles tradition. The above photo from the Vintage Los Angeles Facebook Group dates from 1948. The traditional sunrise service has given way to a 11am multi-church Easter Sunday gathering - and still attracts thousands of Angelenos. If you missed it this year, make your calendar for 2016. Here's a link to when my wife and kids and I attended Easter at the Hollywood Bowl a few years back. Great, very meaningful experience. We totally recommend it to others. Christ is Risen: He is Risen, indeed!